Ms. Imelda Guillermo, OIC Center Director gives her welcome message during the opening of the ATI 32nd anniversary celebration. In region 02, the celebration was held on January 28-29, 2019 at ATI-RTC 02 San Mateo, Isabela which highlighted important events in extension. 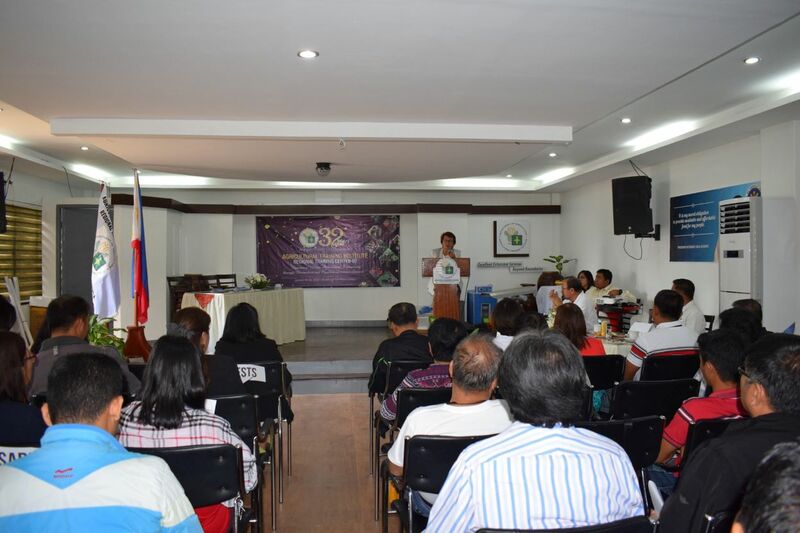 Among the activities include the recognition of loyalty awardees, inauguration of the meat processing hub, awarding of the Artificial Insemination (AI) sa Barangay Project, RIC Livelihood Project, and the livelihood support to the ATI-EP scholars. The contributions of the extension managers and workers in the extension delivery were highlighted during the event by sharing their best practices and innovations. It is a contest where top 3 for the two categories were recognized during the closing program. There were given a cash prize and a plaque and certificate of recognition, respectively. Dir. Narciso A Edillo, Regional Executive Director of DA-RFO 02 graced the said anniversary. He encouraged the extension managers and workers to share and learn from each other strategies in increasing productivity. He quoted the president saying, “It is our obligation to make food available and affordable to every Filipino people.” Thus, he mentioned the interventions of the DA towards increasing production especially that productive lands are now becoming smaller because of land conversion. Meanwhile, ATIng TIENDA also exhibited the products of the ATI accredited rural base organizations namely Vizcaya Fresh and Rural Improvement Clubs of San Mateo and Santiago City, and products of ATI staff.